Today's analysts need to pull information from many places. But working with multiple sources and preparing data for analysis can be time consuming and difficult to implement using standard tools like Excel or Access. 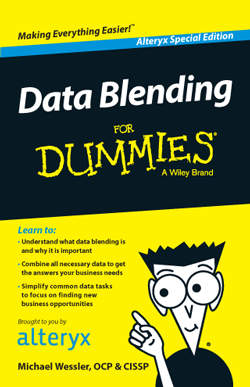 This book helps you understand the benefits of data blending, and see how to build the data set you need to meet your organization's analytical needs, without writing scripts or waiting on other departments.